This tour is highly recommended for the guests stay in Montenegro and who want to see capital of Albania by daily excursion. We will go straight to Tirana and spend there up to 4 hours, which is more than enough to visit the city center. 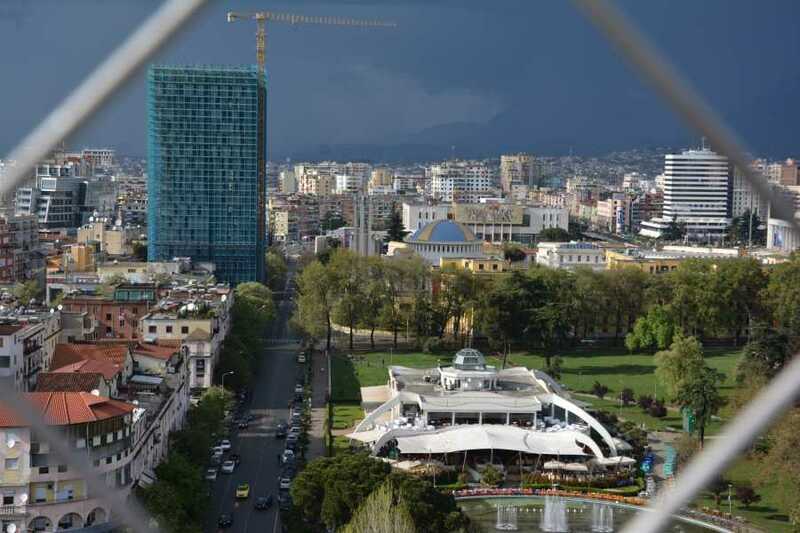 Tirana is modern town with over 1 million inhabitants. City center of Tirana is very lovely, safe and pleasant for walking around. Guests would be able to look around and learn about center of Tirana, visit some museums, have lunch or do shopping without any hurry. If you want to know more about the modern life in Albania, the way its largest city develops, to see how people in Tirana live today, this is a perfect tour for you. You will be surprised how much this city is pleasant, full of color, calm and cheap. If you decide to take this tour believe when we say, you will spend a beautiful and fulfilling day, above all thanks to the atmosphere in Tirana. This tour connects guests in 3 cities ( Kotor, Budva and Podgorica). In case that we have guests from all 3 cities we will pass border crossing Bozaj next to Podgorica, but in the case that we don't have guests from Podgorica we will go directly from Kotor to Budva to border crossing Sukobin next to city of Ulcinj. Main attractions in the center are: National History Museum, Et'hem Bey Mosque, National Gallery of Arts, Pyramid, City Hall, Grand Park, TID Tower ( the highest building in Tirana), Sky Tower, Resurrection Cathedral in Tirana ( orthodox cathedral, one of the largest in Europe), Taivani Center (restaurant complex located in Rinia Park), monuments of: Mother Albania, Skanderbeg, Mother Theresa, Thomas Wilson (USA former president), Clock Tower, University of Tirana, Post Block Memorial as well as Skanderbeg and Mother Theresa squares. All of these are located next to each other. Our guide will show you the location when we arrive in Tirana and then you can explore on your own and we believe that you will find even more interesting things in this lively city. NOTE: The price for the tour includes licensed tour guide in English language. Tour is organized with an air-conditioned car or mini bus.